New Meursault single came out and it's BEAUUUUUTIFUL. Order their third studio album, Something for the Weakened, at Song, By Toad. Bill Nye would've had a field day with this guy. While I’m wont to complain that Gallery is a mere continuation of 2011′s mediocre debut, Idle Labor, it’s miles better, in fact, tearing away from the band’s imitation of the faux glamour and tired beats that ran rampant in the 80s, instead delving into the dreamy new romantic quality of pop that, well, ran rampant in the 80s. The 1980s have been back since, what, 2003? And they refuse to go away, thanks to bands like Craft Spells, who are young enough to have missed both the original decade and the first wave of the revival, and want to get in on romanticizing a period when it was cool to be flashy and rich and a little verbose, and sort out all the features on your keyboard. 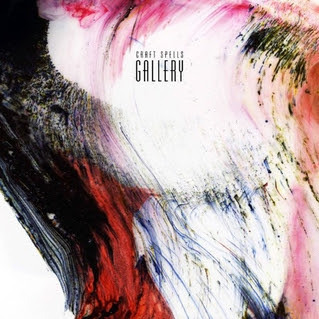 Craft Spells’ full-length would’ve fared better using songs like “From the Morning Heat” or “You Should Close the Door” as jumping points, each founded in early shoegaze, or pop music typical of the Slumberland label. Instead, it resembled, for the most part, an amateur experiment in sounding lonely and British. But Gallery finds core member Justin Vallesteros doing his best New Order with songs that are catchy, lush, consistent in tempo. The lack of a live drummer makes this recording little more than a dreamy wall of sound with no real high or low, and though the potential for dullness is there, this quality makes the collection fluid and consistently of a particular mood. He’s a few years behind on his trend, and at this point it would be refreshing to find a band that doesn’t regurgitate the highlights of another decade, but to his credit, Vallesteros was still in high school when the 80s made their comeback in music, and in catching up, he regurgitates the decade well. After his giant, collaborative concert in New York this past February, Jherek Bischoff finally completed his giant, collaborative record, and it's damn near perfect. I'd feel ridiculous trying to review this one. Truly, purchase the record. Do it here. Actually quite excited about a brand new release; Speedy Ortiz of Northampton, MA, has just released a new EP, and they'll be visiting California next month to support it. I gushed about this band a bit, back in March, and am pleased with the result of their last few months' work. The Sports EP (yes, with songs named for sports like "basketball," "curling," and "sucking") is somewhat girlier and a touch less grungy than the "Taylor Swift" single released a few months back, but it's just as good, and whereas the aforementioned single reminded quite a bit of the play between Ash Bowie and Mary Timony of Helium, this new release is less about style and more about heartbreak and youth, and about the honesty that's been written. The way bass and guitar crawl alongside each other makes their songs easy to latch onto, and vocalist Sadie Dupuis' tendency to pronounce her letter "r" sort of harshly gives her a charming, approachable style - she's the chick who probably says "dude" a lot and has better taste in everything than you do. Ugh, cue Juno references. Honestly, though, you should support this band. I received this album for free and I bought a copy anyway. Purchase the EP! It's only four bucks to download!